Come, Holy Spirit, by whom every devout soul, who believe in Christ, is sanctified to become a citizen of the City of God! (en. Ps 45:8) Come, Holy Spirit, grant that we receive the motions of God, put in us your flame, enlighten us and raise us up to God (s, 128,4). 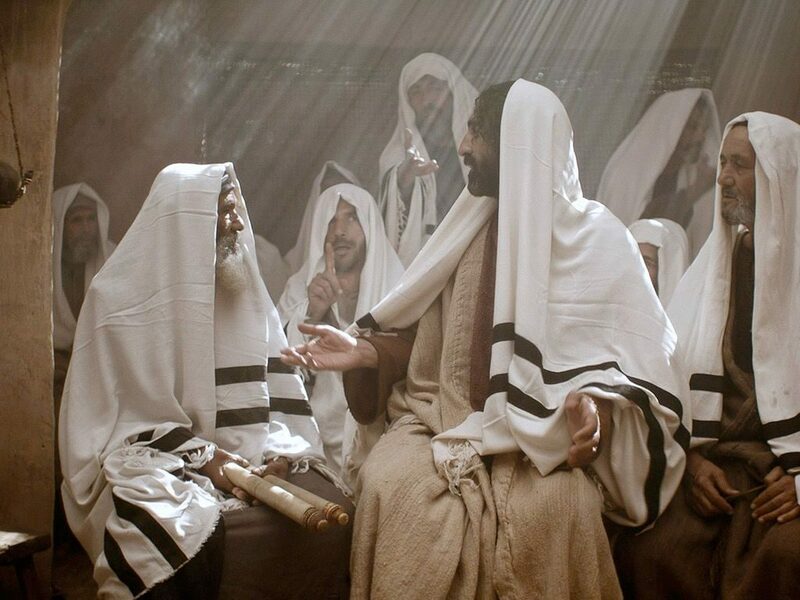 Jesus began speaking in the synagogue, saying: “Today this Scripture passage is fulfilled in your hearing.” And all spoke highly of him and were amazed at the gracious words that came from his mouth. They also asked, “Is this not the son of Joseph?” He said to them, “Surely you will quote me this proverb, ‘Physician, cure yourself,’ and say, ‘Do here in your native place the things that we heard were done in Capernaum,’” And he said, “Amen, I say to you, no prophet is accepted in his own native place. Indeed, I tell you, there were many widows in Israel in the days of Elijah when the sky was closed for three and a half years and a severe famine spread over the entire land. It was to none of them that Elijah was sent, but only to a widow in Zarephath in the land of Sidon. Again, there were many lepers in Israel during the time of Elisha the prophet; yet not one of them was cleansed, but only Naaman the Syrian.” When the people in the synagogue heard this, they were all filled with fury. They rose up, drove him out of the town, and led him to the brow of the hill on which their town had been built, to hurl him down headlong. But Jesus passed through the midst of them and went away. St. Augustine points out that Elijah was sent to Zarephath to be fed by a widow, so that in this way God may manifest his wonders: Thus, God manifests that he can feed his servants with what he wants and as he wants and, nevertheless, in order that a devout widow could feed him, he made him feel the need. The need of a holy soul became the abundance of a devout soul. Could not Elijah, by God’s mercy, give to himself what he gave to that jar? You see, then, and it is clear, that sometimes the servants of God suffer need in order to put to the test those who possess some goods. But that widow had nothing? What she had left was consumed and she was going to die with her children. To prepare bread, she came out to pick two sticks, and it was then Elijah saw her. The man of God saw her precisely when she was looking for a pair of sticks. That woman was the image of the Church. Given that two sticks form a cross, at the point of death she sought what would make her live forever” (s. 11, 12). On the other hand, St. Augustine invites not to be scandalized of Christ, but to accept his word with humility and to live in fraternal charity, because there is not stumbling nor scandal for one who is secure in the love of Christ: “But, oh! If you love the brothers you will find nowhere to stumble. Listen to what the Psalm says: ‘The lovers of your Law have great peace, they never stumble’ (Ps. 119:165). He proclaimed great peace for those who love God’s Law, and therefore, they do not stumble. Consequently, those who stumble have lost peace. But who did he say do not stumble or cause to stumble? Those who love the Law of God. Because they are secure in charity. But someone may say: “He said: Those who love the Law of God, not those who love the brothers.” Listen to what the Lord says: ‘I give you a new commandment: that you love one another.’ What is a Law but a commandment? How then can it be that they do not stumble only when they tolerate one another? Thus St. Paul says: ‘Bearing with one another through love, striving to preserve the unity of spirit through the bond of peace’ (Eph. 4:2-3). That that is the Law of Christ, hear it from the mouth of the Apostle himself when he urges: ‘Bear one another’s burdens; thus shall you fulfill the Law of Christ’ (Gal 6:2)” (ep. Jn. tr. 1, 12). “And all spoke highly of him and were amazed at the gracious words that came from his mouth” (Lk. 4:22). What place does the word of Christ occupy in your life? St. Augustine has told us: “If music rightfully pleases the ear, so also does the word of God please the heart” (en. Ps. 98:5). Up to what point is the word of God the delight of your soul? “They rose up, drove him out of the town, and led him to the brow of the hill on which their town had been built, to hurl him down headlong. But Jesus passed through the midst of them and went away” (Lk. 4:29-30). St. Augustine says: Christ distances himself from those who refuse to recognize the sacrament of the Eucharist. Take hold of him, do not let him go; offer him hospitality and you will receive and invitation to heaven” (s.89, 7). What do these words suggest to you? What can you do in order that Jesus does not go away from you? Experience and contemplate how your heart is inhabited by the Word of God. Experience the peace and joy of having as your guest Christ Himself, present in you by his Word. The inhabitants of Nazareth wanted to hurl Jesus down the cliff. Contemplate the scene, and observe how Jesus in his majesty and omnipotence, passes in the midst of them, leaving them powerless to do him harm. Admire and contemplate the divinity of Jesus and reinforce your trust in him. He is the Omnipotent God incarnate. Think of everything that you can share with those around you about the experience you had with God, especially regarding the invitation to listen to the Word of God and not allowing Jesus to depart from your life. The following points can help you as guide to share with your community the experience of the lectio divina on this text. Lord God, Father Almighty, with pure heart, as far as our littleness permits, allow us to give you our most devoted and sincere thanks, begging with all our strength from your particular goodness, that by your power you may drive away the enemy from all our thoughts and actions; that you may increase our faith, govern our mind, give us spiritual thoughts, and bring us to your happiness, through your Son Jesus Christ, our Lord, who with you lives and reigns, in the unity of the Holy Spirit, God. Forever and ever. Amen (en. Ps. 150:8). Behold that now, inflamed and yearning, I return to your fountain. Let no one “prevent me: that I may drink from it and live by it … In you I begin to live: speak to me, tell me yourself. I have given faith to your Books, but their words are profound mysteries” (conf. 12. 10).